Product prices and availability are accurate as of 2019-04-18 00:55:45 EDT and are subject to change. Any price and availability information displayed on http://www.amazon.com/ at the time of purchase will apply to the purchase of this product. One RJ11 plug split to two RJ11 sockets in a splitter/coupler configuration. 6P4C (For 6-position RJ11 plug, 4 conductors wired thru). 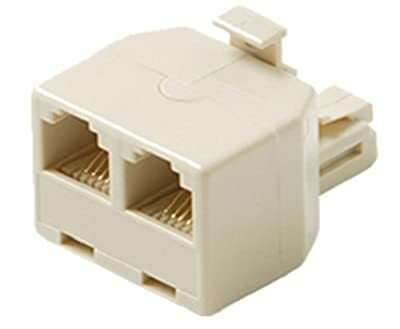 A similar part (RJ11TRI) is available with3 sockets and without a plug.